Have you ever heard of a floating top pie? Even if you haven’t, you’ve probably seen one before: it’s a pie whose crust just “floats” on top of the filling without being anchored or attached to the sides. 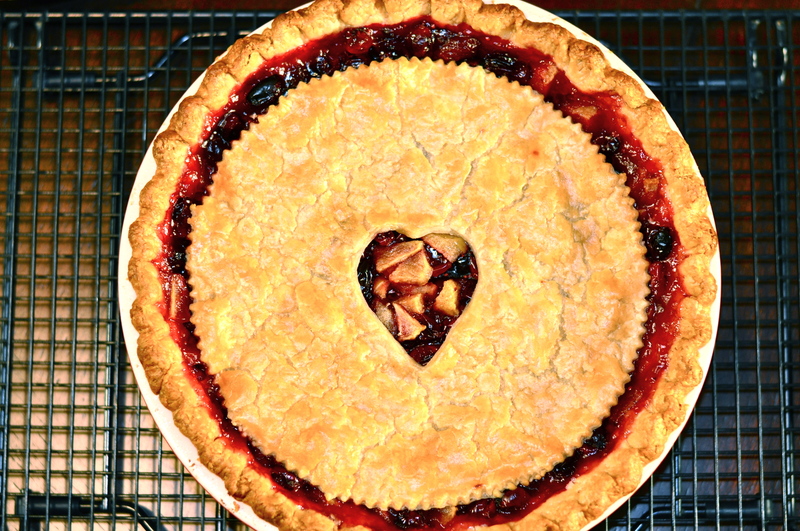 It makes for a very pretty pie and in the short video above you’ll see just how simple it is to do this on your own…and just how good looking the results are. I hope you’ll watch it because I know you’ll want to try this out the very next chance you get. If so, here’s a great recipe to start with, our own Floating Top Cranberry, Cherry & Apple Pie.